Home Bahrain for All Unreal Bahrain: Let Bahrain Have Some Games! Unreal Bahrain: Let Bahrain Have Some Games! 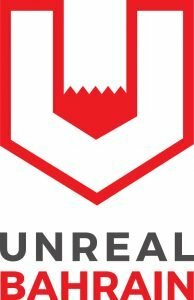 Unreal Bahrain is a community-based group that ultimately aims to establish a game development industry in Bahrain and the region. It is founded by Mr. Yousef Fouad Buhazza, in early 2017 and had around 195 members in the end of 2017. Unreal Bahrain supports innovators and entertainment entrepreneurs in Bahrain and the region. The mission of the group is to enable game developers to create games and build sustainable businesses. Since their formation in Early 2017, they have been able to support the start of 5 game projects, and brought in 4 game projects. Video Games are categorized as a form of entertainment commonly known as “Digital Entertainment”, but games can be enjoyed in any form physical or digital. The group, was originally an Unreal Engine development group, supported by Epic Games and was known as “The Bahrain Unreal Engine Game Developers”. However, the community started getting attention from different engine users like Unity and Game Maker and even table top game developers; it later was rebranded to “Unreal Bahrain” so it can be more generalized. Game development requires multiple disciplines to support it, from technical capabilities to artistic and creative skills and reaching to the business aspects of the industry that encompass marketing, resource management, distribution channels, contracts, legal support and the such. Unreal Bahrain has been created as a platform to find creative, technical, and business talents that want to enter the game development industry. The group meets up twice a month; one is a soft meetup where local and regional developers meet, discuss their progress and socialize; the second is where workshops, talks, and showcases happen. The meetups and events of Unreal Bahrain aim to provide networking, and showcasing opportunities in a casual setting, and workshops are aimed at people getting started and those who would like to learn advanced techniques. The meetups are announced online and through social media accounts, meetup.com, and the group’s website (www.UnrealBahrain.com). To enable game developers in Bahrain, the group focuses on community building and volunteer work, and has built a philosophy of asking for enablement sponsorship first, and financial sponsorship second. Enablement sponsorship is asking sponsors to provide venues, event participation, Training, tools, books, and workshop labs instead of asking for financial support. For example, the monthly meetup venue sponsorship has graciously been given to Unreal Bahrain by CH9, a business incubator based in Bahrain; and event sponsorship of the IGN Bahrain 2017 was thanks to Mohammad AlMuHarriqi from Tarteeb. Unreal Bahrain also adopt a mentorship and coaching practice towards game developers. Members with experience adopt members with lesser experience as either to be part of their team, or to guide members towards developing their skills. The group is connected to international industry specialists and triple A game development studios, and are looking towards establishing relationships with publishers when content is ready. Establishing a game development industry is a challenge in its own. “Game development studios and game publishers greatly influence career choices and market demand for skills and talents for the game development industry, it is a catch 22 situation” says Yousef BuHazza, “therefore establishing needs to come from the ground up, and this is where communities come in”. Yousef started by looking at how can a game development industry start in Bahrain, then created a strategy that utilizes the entrepreneurial ecosystem in Bahrain and Cultural Theory focusing on community building. Creating more communities and connecting them was the initiation point, the second phase was giving training and building team projects, the third phase focused on creating enablement opportunities, the fourth focuses on developing entrepreneurial skills, and the fifth focuses on investments for the games. The Communities in Bahrain need to establish long term goals of establishing an industry, and Yousef believes that so far, the strategy has been succeeding. By changing the culture Unreal Bahrain wants to convince parents that game development is a valid career choice for aspiring young game developers; It also wants to assure other developers that they are not alone in solving their issues and help them complete their projects should they face challenges technical or otherwise; Unreal Bahrain aims to help local developers to achieve in local market and global markets. An entrepreneurial mentality is required from the game developers, business plans are extremely important later when pitching to investors to get funding, or market a product. The entrepreneurial ecosystem in Bahrain is extremely supportive and unique; initiatives such as Tamkeen allow for proper entrepreneurial support in terms of capacity building through training and subsidized financial support in the form of salary and capital grants/support. The EDB plays a major role in opening up Bahrain to external market and providing networking opportunities, the EDB further plays a major role in policy and regulation support. Financial institutions such as the BDB offer long term investment support to SME’s in Bahrain as well as financial and businesses advice to entrepreneurs. An amazing initiative in Bahrain is Startup Bahrain that collects and enables all interpleural ventures in Bahrain. Academic institutions are the right environment that could lead the R&D venture in Bahrain. The University of Bahrain and Polytechnic have already taken the first steps towards leading true academic and entrepreneurial ventures thanks to Prof. Christos Gatzoulis. Yousef BuHazza holds an MBA from the University of Strathclyde business School with a focus on Strategic Analysis and Strategic Development, and is currently taking his second master in Public Administration from Aix-Marseille Université. He has over 16 years of experience in the IT, among them 7 years in Strategic Development and Project Management.